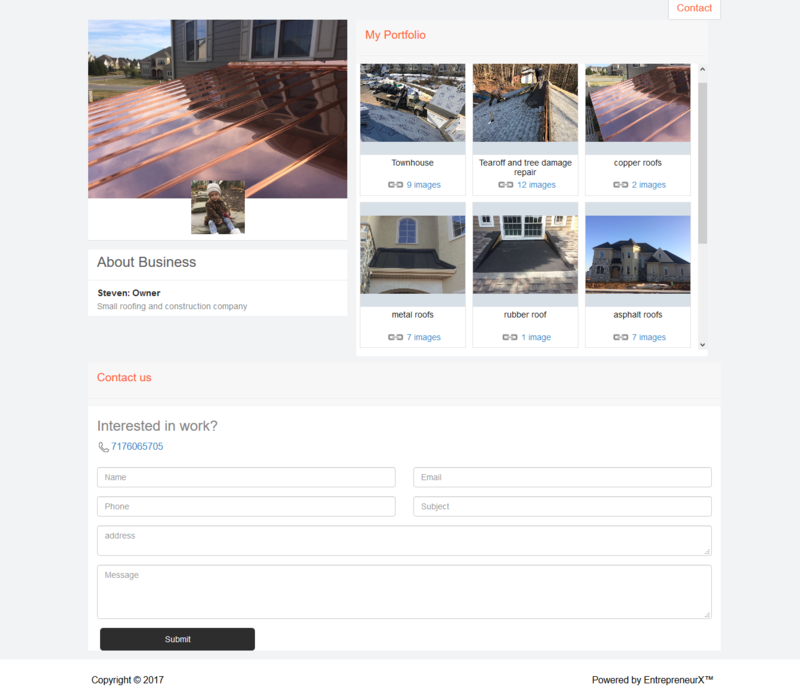 EntrepreneurX: Sharing your work is simple. 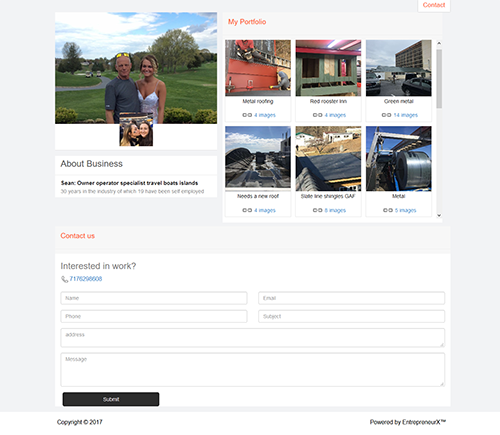 New to EntrepreneurX? Sign up today! Connect with other entrepreneurs. Showcase your ideas. Keeping your work on every device helps you stay organized. 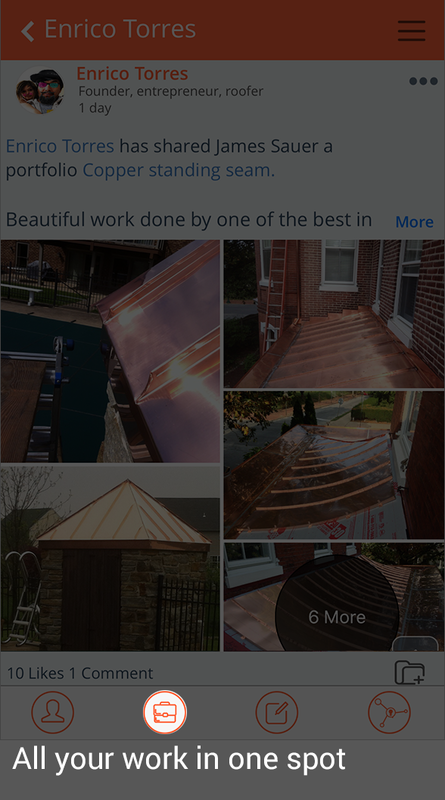 Developed by a roofer who wanted to make it very simple to share his work. Easy way to share your work and connect with other entrepreneurs from around the globe. This app is fantastic. I love that I can now quickly end easily share my services with potential clients and friends! This app is very easy to use even for someone with little experience. 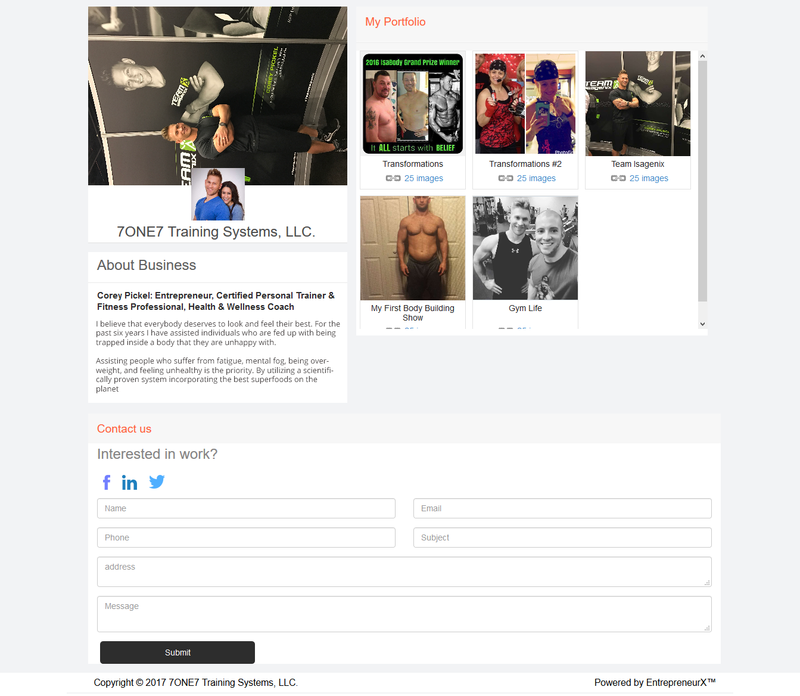 I'm using the portfolio feature and will be using the website feature so I can share my work with clients quickly and easily. Very easy website building app. You create your portfolio and then the app will build your website. 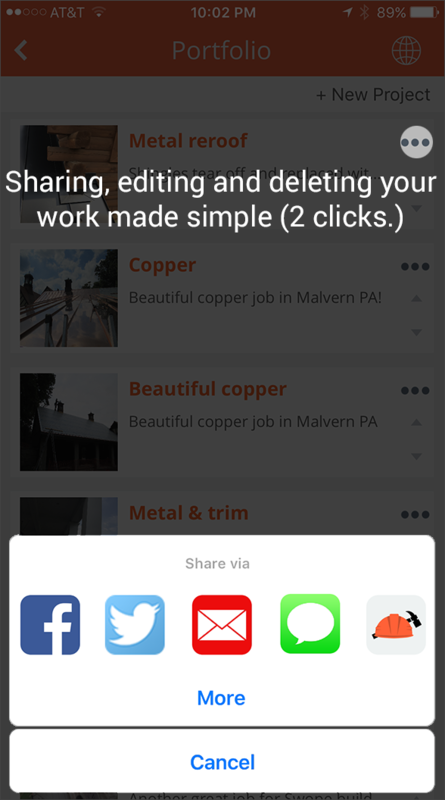 It's easy to add jobs and share with clients. Five stars all the way! 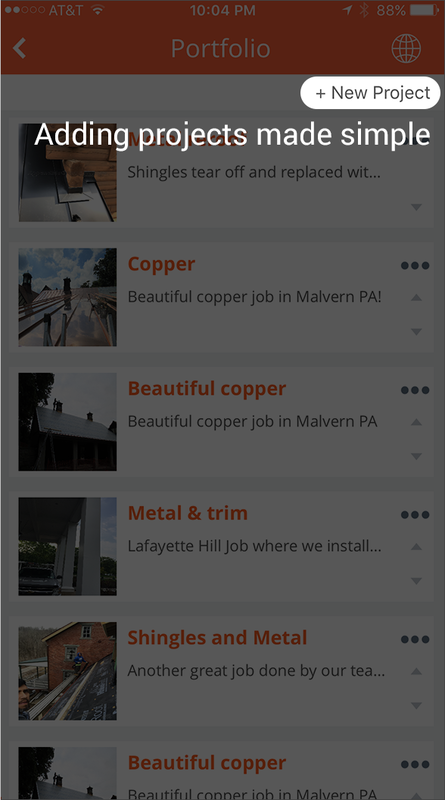 This app is super easy to use, and it's great to connect with other entrepreneurs and share your work with the portfolio system. It's also pretty much effortless to have a website. The app does it for you based on your portfolio! Definitely download and try this out. The portfolio feature on this app is the easiest way to share my work that I've found. It helps me get more work, too, because I'm able to show potential clients my work right away. Finally I've been able to get my website up in minutes! It was so easy to do through the portfolio feature. Now I can show my work to new clients easily and right away! This site is amazing. It's very easy and user friendly. I enjoy posting photos and it has even given me more opportunities for more clients. Five stars, A+. 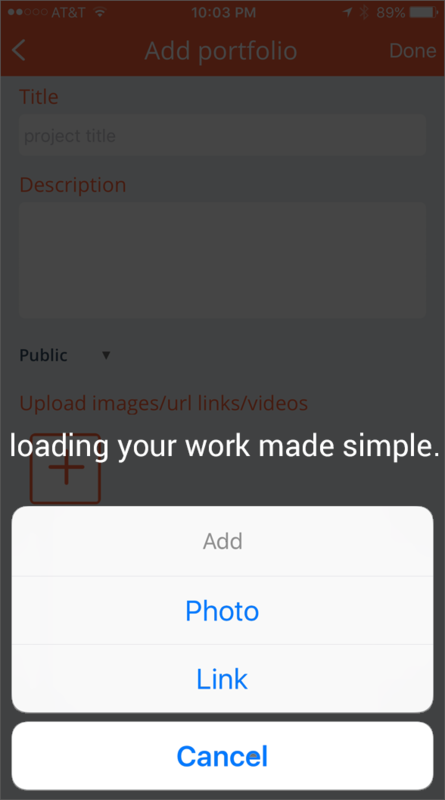 Awesome way to share portfolios of your work. The user interface is smooth and upgrading from basic to premium was easy, too. Click on the briefcase on the lower left side of the app. Can I edit my Portfolios? if yes, how do I do that? Yes, all you have to do is click the 3 dots on the top right of each portfolio and select edit. All you have to do is load your portfolios and set up your profile page, then click on your portfolio button then click the world on the top right and select your plan. Yes our solution is free, with that being said some of the functionalities or if you want a website they have a cost.